Let's cook up a funny story! 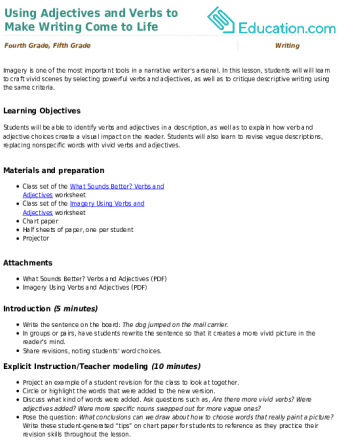 This fun fill-in-the-blank is sure to please any beginning writer. He'll practise parts of speech as he goes. 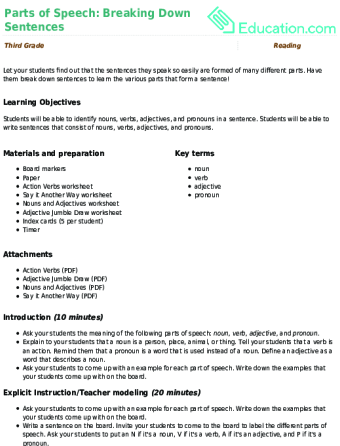 Let your students find out that the sentences they speak so easily are formed of many different parts. 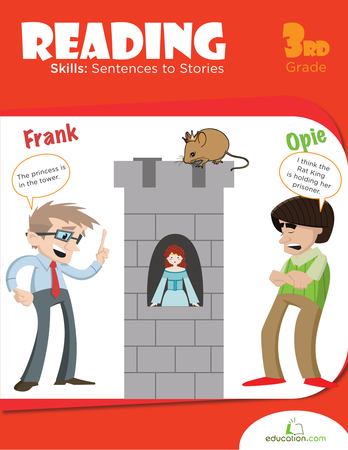 Have them break down sentences to learn the various parts that form a sentence! 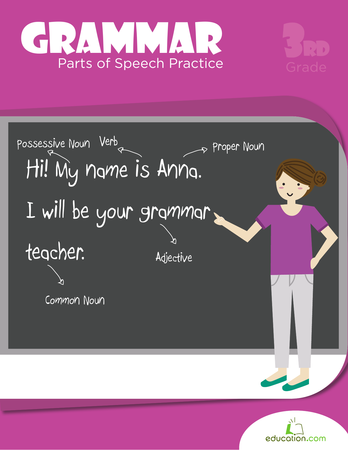 Improve your students' writing skills with this neat lesson on adjectives. 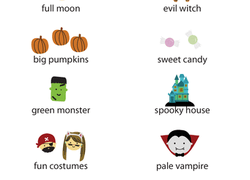 From bright to dark, light to heavy, your little writers will be able to describe the world around them in no time. 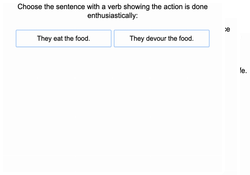 Each sentence on this year three reading worksheet has an underlined word, and kids select the opposite of that word from among three word choices. 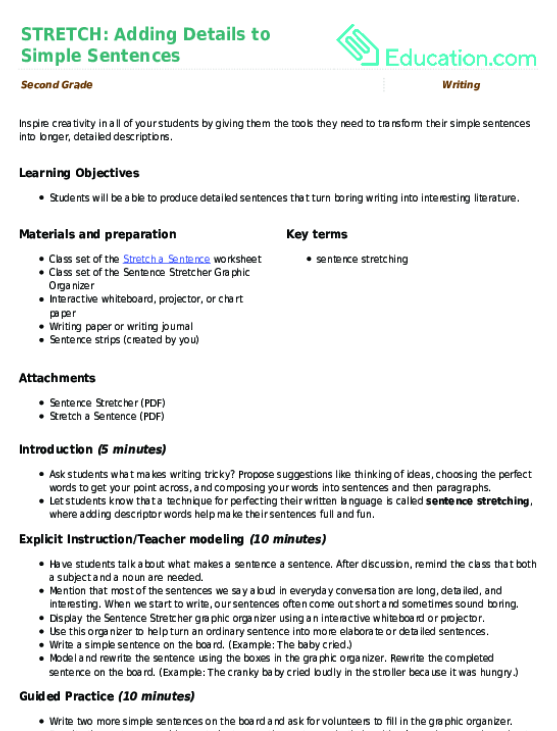 Inspire creativity in all of your students by giving them the tools they need to transform their simple sentences into longer, detailed descriptions. 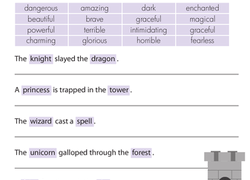 Encourage students to explore the impact of using vivid verbs and adjectives on a simple description, then practise revising a phrase on their own. 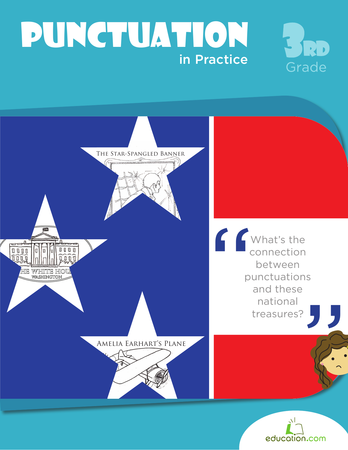 Help expand your student's vocabulary with this adjective activity. He'll fill in the blanks with synonyms for "good" to make sentences more interesting. Imagery is one of the most important tools in a narrative writer's arsenal. 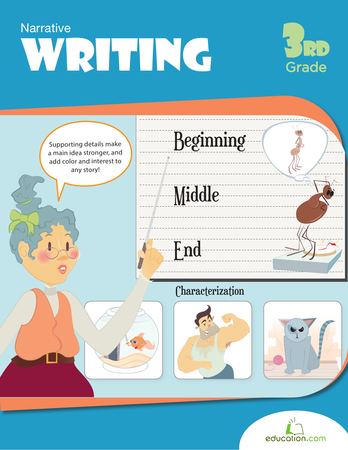 In this lesson, students will will learn to craft vivid scenes by selecting powerful verbs and adjectives, as well as to critique descriptive writing using the same criteria. Love is in the air this Valentine's Day! Give your young writer a chance to practise her descriptive writing with a creative writing prompt for the holiday. 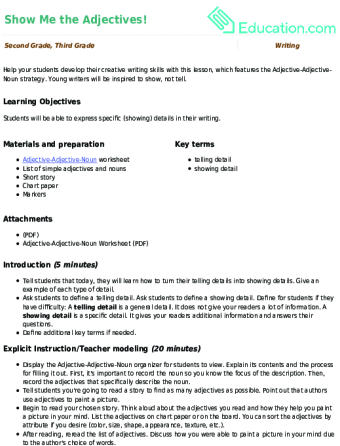 Help your students develop their creative writing skills with this lesson, which features the Adjective-Adjective-Noun strategy. Young writers will be inspired to show, not tell.